One of the first steps during wedding planning is finding the perfect wedding venue. Then, you have to start renting various items to complement your venue in the most beautiful way. If you need some help choosing your wedding venue and party rentals in Annapolis, continue reading for a few tips to help you plan the big day. When you start looking at wedding venues, you should always remember your style as a couple. Are you laidback in jeans, or do you prefer something more elegant in a tuxedo? Figuring out your couple style will help you as you look through countless pictures of wedding venues and party rentals. You can narrow down a lot of places just by knowing where you two will feel the most comfortable. As you look up various venues based on your style, you need to keep your budget in mind. That will be a huge factor in determining where you get married and have the reception. If you find a venue you and your fiancé adore, but it is out of your budget, don’t fret just yet. Speak with the venue manager and see if there are some ways to lower the price. 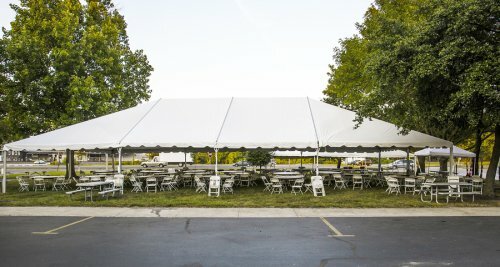 You may need to cut the guest list, or make the reception a cocktail hour, but there are almost always ways to make your dream venue a reality. Hosting your event on a weekday instead of a Saturday or Sunday might also drive down the cost of the venue. Many couples choose a venue simply based on guest limit. If they need a large venue to accommodate their guests, then their options may be limited. Figure out how many guests you think will come, and keep this number in mind as you research venues and wedding rentals, including chairs and china. Depending on the time of year you choose to marry, you may need to find a venue that has indoor accommodations available. Or, you may consider renting tents or umbrellas if you anticipate hot or rainy weather. No matter where you choose to marry, keep these few tips in mind and have fun planning! Picking out colors for your wedding should be one of the easiest decisions to make, along with china and flatware in Baltimore . As long as you remain open to different possibilities, such as the colors your party rentals come in, then you should have no problem picking the perfect wedding colors. The easiest way to begin choosing your wedding colors is to look at your and your fiancé’s favorite colors. In some cases, your favorite colors may not pair very well; for example, silver and yellow would not complement each other in a color scheme. However, you can always look at second favorite colors, or you can consider using different shades of your favorites that might complement each other better—gray and golden yellow, for instance. Be creative, do your research with different colors, and you will eventually find the right ones. There are certain colors associated with specific seasons—blue and silver for winter, orange and red for fall, etc. If you have already matched up your favorite colors, then you will now want to look to the season in which you are marrying. Some colors are much more popular during particular seasons. This can help you when choosing decorations and bridesmaid dresses. However, it may also be a hindrance when picking your party rentals. Certain colors are very popular during their respective seasons, so book your colored table linens and china soon after picking your colors. With modern dyeing practices, you can have almost any silk flower dyed in a variety of colors. When it comes to fresh flowers, though, you may have to compromise. Determine what is most important to you: your favorite colors or your favorite flowers and decorations. If you absolutely must have specific flowers, like orchids or stargazer lilies, in your bouquet or centerpieces, then see if they come in complementary colors to those that you have chosen for the wedding. Having a garden wedding is extremely popular, whether you are planning a formal or casual ceremony. 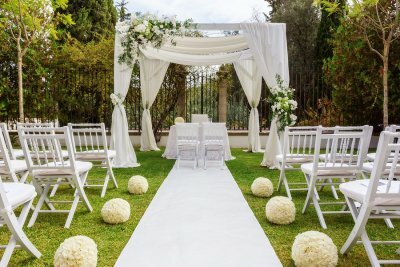 By renting the right rental equipment near Annapolis , you can make an outdoor garden wedding just as comfortable as an indoor venue. Watch the short video for a few ways you can make your garden wedding go off without a hitch. 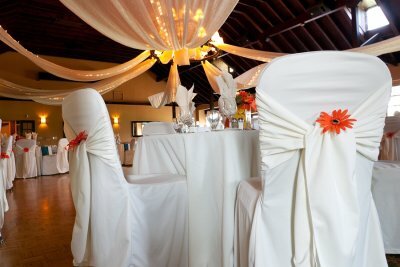 Ask your venue about the various decorations and party rentals available. If they do not provide a dance floor, you may consider renting a dance floor setup to give your guests a place to have fun. You might like to bring a sense of casual into your reception with different styles of chair and table rentals. Be aware of your decorations and the weather. If you have candelabras set up, then make sure the candles are covered in case of a breeze or rain.